By Marcie Martinez , YWCA of Belize. The 20th International AIDS Conference is currently being held in Melbourne, Australia. 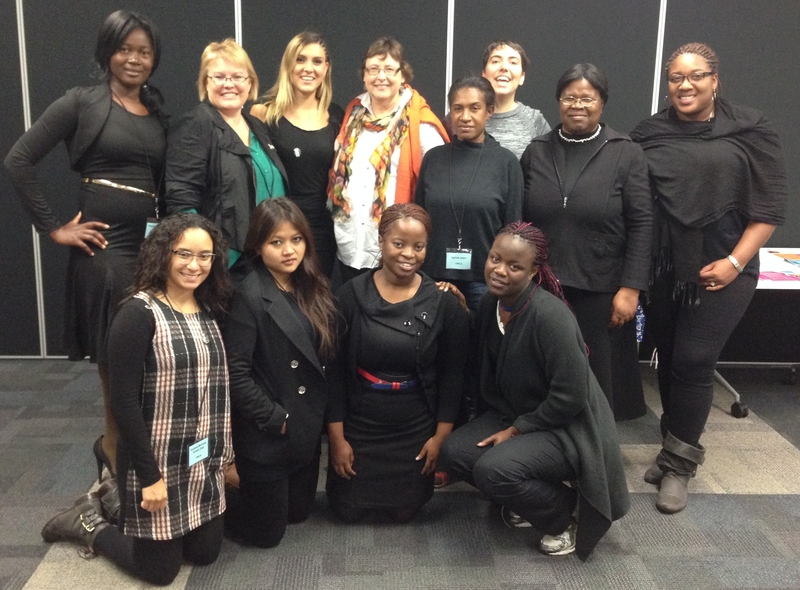 YWCA Australia and the World YWCA held pre-training to the conference. Below Marcie shares her experience. This was the first day spent in Melbourne and it was very exciting. We revised the YWCA strategic framework reminding each other of the 3 priority areas; sexual reproductive health and rights (SRHR), intergenerational leadership, and movement building. The ladies shared different stories from their different backgrounds and the kind of work YWCA is doing in their countries. Some of the most striking interventions were for example methods of condom distribution. For discretion others hand them out with the pamphlet whilst others hand them out in target areas e.g. barbershops or salons. Salons are a place where a lot of women commonly meet. These can be used as safe spaces where women meet and discuss their issues. Women who are HIV positive or victims of sexual violation need a bio psychosocial approach in order for them to regroup and plan for their future. As such it is important to have structures in society that support these women and use a multidisciplinary approach. We need to shift from a needs based approach to a rights based approach. This promotes the fact that young women not only need support in terms of basic needs but skills to empower them to find means of meeting those needs themselves and ability to do more.